A police spokesperson has confirmed that a 39-year-old man being held in custody at Hastings police station was found dead on Monday, a report said. Fate of three occupants of crashed car UNKNOWN! A police chase has again ended with a car crashing into a power pole and rolling onto its roof in South Brighton, Christchurch, earlier this evening, a report said. 11 Days and only three road fatalities??? Who are you kidding? Only three road fatality reports allowed by police over the past ELEVEN days! Only three road fatality reports have been allowed by police since Saturday, November 3, despite at least 113 serious crashes being reported locally, over the period, as of posting, making the officially released road toll a double statistical impossibility. As of Nov. 6, at least FIVE additional fatalities remain unreported by police. Since October 31, at least seven foreign women have been killed in New Zealand including two Germans, a Canadian, a Korean and a Fijian who were all killed in separate road crashes, an Englishwoman who was killed in a fall, and now a young Indian-Fijian mother who was murdered in Manurewa, south Auckland. “A neighbour said the family that lived in the house was Fijian-Indian and were ‘friendly and very nice people’. Just last month they had celebrated the Hindu festival Diwali together. A [woman] in the family phoned them about 1.30am on Sunday to say her daughter had died. The neighbour said the deceased woman was a mother with a young daughter, aged three or four years old,” a report said. Who do you have to sleep with, blackmail or bribe to become TVNZ’s boss? WTF: $200,000 pay rise for K. K.
Nine days and only three road fatalities??? Who are you kidding? Only three road fatality reports allowed by police over the past NINE days! Only three* road fatality reports have been allowed by police since Saturday, November 3, despite at least 92 serious crashes being reported locally, as of posting, overthe period, making the officially released road toll a double statistical impossibility. Wallace Noel Flay, 39, was killed in a collision on State Highway 3 near Bell Block, New Plymouthon on Tuesday 7 November, 2017. The victim was occupant of the ute, but the fates of the cyclist and truck driver are not known. 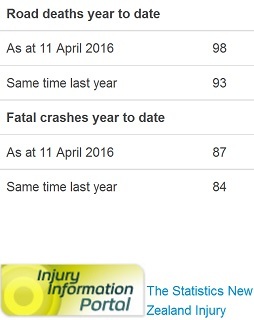 *NOTE: The deceased in the New Plymouth crash was statistically resurrected by the Ministry of Transport (MoT). See entry here! The Ministry for Primary Industries (MPI) has today confirmed it will be working with flat oyster farmers to urgently remove all flat oyster stocks from marine farms in Big Glory Bay on Stewart Island. This is due to the recent detection of Bonamia ostreae in 2 of the marine farms. “Science has strongly guided our decision. The epidemiology of Bonamia ostreae, and the proximity of the 2 affected marine farms to others, means there is a strong risk of spread to those farms, and increasing the threat to the wild population. Removing all of the flat oyster stocks from the marine farms in Big Glory Bay significantly reduces this risk,” says MPI Director Readiness and Response Services Geoff Gwyn. “We acknowledge the strong feeling among locals to act quickly, however, our main consideration has been establishing the best process for the removal of the oysters. The last thing the community and industry needs is a rushed removal process that causes more harm than good. “We’re confident that the movement controls already in place have given us the time to get this next stage right. We will be working closely with the marine farmers to outline the plan for the removal of the oysters. MPI will also be working with Marlborough marine farms to remove all flat oyster stocks to remove disease pressure in New Zealand. Sampling to date has found no evidence of Bonamia ostreae in Bluff oysters in Foveaux Strait, however, MPI is continuing its sampling and surveillance. “We have been in contact with the affected Big Glory Bay and Marlborough marine farmers. We appreciate this isn’t positive news for these farmers. We would like to thank them for their input and cooperation to date,” says Mr Gwyn. If the flat oysters in the marine farms are at harvest age, they can be harvested for consumption, however, this will need to be decided by individual farmers. Compensation under the Biosecurity Act, including the process for applying, is a matter MPI will be discussing with the affected Big Glory Bay and Marlborough farmers. While flat oysters are farmed in Big Glory Bay and Marlborough, mussels form the bulk of the marine farming operations in those areas. Seafood such as Greenshell mussels and Pacific (rock) oysters aren’t affected by Bonamia ostreae, but they can carry and transmit it to flat oysters. However, this seafood also expels Bonamia ostreae and, once expelled, the Bonamia ostreae generally dies within 24 hours, so the risk of spread is low. A Controlled Area Notice remains in place legally restricting movements of some shellfish species, including their spat, into and out of Nelson, Marlborough Sounds and Stewart Island. It also legally restricts movements of farm equipment and vessels associated with shellfish within and out of Stewart Island to limit further spread. In May 2017, MPI detected the flat oyster parasite Bonamia ostreae on 2 flat oyster farms on Stewart Island. Find out about the parasite and what we’re doing to try to control its spread. “Big Glory Bay is growing millions of oysters in total, but many are sown in among hundreds of millions of mussels, and a cull of the lot would cost millions of dollars,” said a report. Police say they have completed their inquiries into the deaths of a Waipukurau couple last weekend. A homicide investigation was launched after 61-year-old Ngaire Elaine McKenzie and 58-year-old Murray Daley were found dead at an address in Jellicoe Street on Saturday 3 June. Police are not seeking anyone in relation to the incident. Only one road fatality report allowed by police today, as of posting, despite at least a dozen serious crashes reported locally. Friday, 9 June 2017 – 12:53pm – Auckland City – A man died as a result of a crash that occurred on Hobson Street on Tuesday June 6. Daniel Leroy Kopa, 34, who had been in hospital since Tuesday, died as a result of his injuries earlier today. 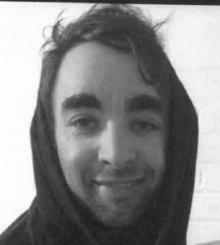 Friday, 9 June 2017 – 10:57pm Canterbury – The man who was killed in a crash on Charteris Bay Road in Teddington, Canterbury on Tuesday 6 June was 27-year-old Allan Jordan Pope, who lived in Christchurch, police said. How many killed? How many of the fatalities reported? Q. How many people were violently killed in New Zealand today? A. Take any number between 16 and 24, and you’d probably be correct. Q. How many fatalities reported? Police have named the murder victim whose body was found in a vehicle in Otangarei as Moses Noor Mahanga, aged 25. A post-mortem has confirmed that he died as a result of a gunshot wound. The fatal collision occurred between two cars near McLaren Falls Road. At least two people were killed in a fatal crash involving a car and a truck south of Tokoroa this morning. Police confirm the two deceased were a male and a female, [possibly British tourists,] who were travelling in the car. The driver of the truck remains in Tokoroa Hospital with unspecified injuries. 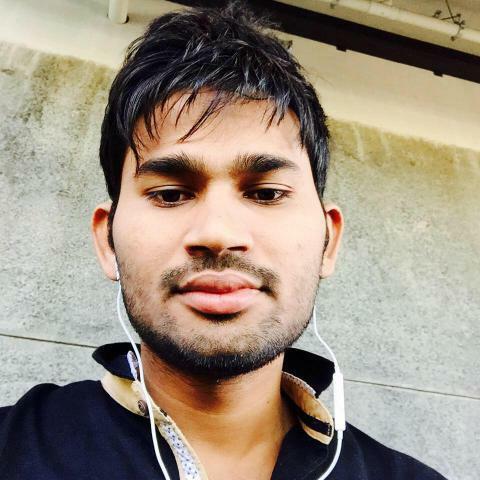 Police are seeking witnesses to a recent fatal crash in Manurewa that killed an Indian national. The victim, Pawar Singh, was hit by a van on Alfriston Road and later died at Middlemore Hospital. But only one roadkill reported in three days! Garry John Jones, 64, was killed in a crash on the Waikato expressway while riding to his trial for historic child sexual abuse charges. He struck the back of a logging truck and crashed onto the State Highway 1 north of Huntly on Monday, police said. Blog estimate: About 900 people are killed on NZ roads each year. [Most probably] up to 250 road fatalities have occurred in NZ since 1 January 2016. Sharks at water company to play the “purest” export game again! Ashburton District Council had previously failed to flog the extraction rights for the dodgy water to a Chinese buyer. Green Party water spokeswoman Catherine Delahunty said the council’s deal was “outrageous” and she was concerned regardless of which company was involved. “It doesn’t really change our concerns at all that they are a Christchurch company because they are still taking that water and proposing to export it without any proper process for the Ashburton community. A Manurewa man has been charged with murder following the death of 22-year-old woman, police said. But how many road fatalities get reported? Preferably, fewer per 100,000 of the population than reported in Australia. As for serious injuries, an average of 8.5 people are seriously injured on our death roads each day. 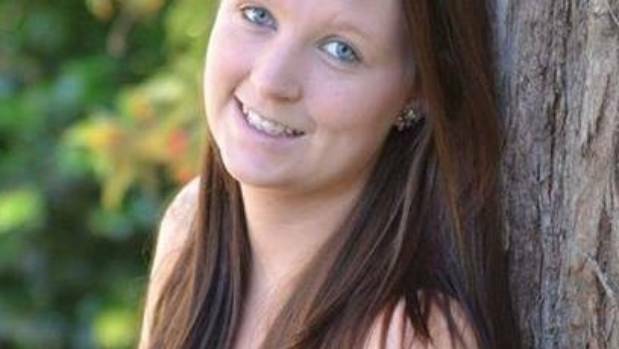 Emily Hurley, 20, and her unborn baby, as well as Albert Noel Burns, 47, driver of the other vehicle, were killed in the head-on collision south of Whanganui, early this morning. “The three injured people were severely trapped in one of the vehicles and hydraulic cutting equipment was used to get them out,” police said. RIP. Emily Hurley, 20 and her unborn baby, as well as Albert Noel Burns, 47, were killed in a violent crash this morning. Three others, including Emily’s partner, were seriously injured. A 36-year-old Christchurch man had been charged after Prue’s body was found on the banks of the Heathcote River late on Friday. 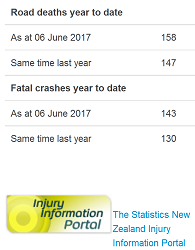 Blog estimate: [most probably] up to 120 road fatalities have occurred in NZ since 1 January 2016. Are the silent New Zealanders guilty of mass murder because they are acting recklessly, knowing that deaths are likely when they lure the unsuspecting foreigners to this country? Or are they culpable of accidental homicide, where death could not reasonably be expected? Homicide: The killing of one human being by another human being. Involuntary Manslaughter: The act of unlawfully killing another human being unintentionally. Negligent homicide is a criminal charge brought against people who, through criminal negligence, allow others to die.